A rare find - the Holy Grail of FJ's! Whereas the BJ-type Land Cruiser was originally built for military use, its design in time was modified to serve industrial expansion in peacetime, stimulating demand for Toyota vehicles around the world. With that goal in mind, Toyota introduced the 20-series making its debut sporting an F-type engine, a 3.8L (231.9 c.i.) 105 hp overhead-valve six-cylinder gas unit. The FJ25 model was positioned as the standard of the Series. By 1956 Toyota felt comfortable that the 20 Series Land Cruiser could hold its own against rival models such as the Willys Jeep and Land Rover, allowing the company to implement a global expansion plan using this car as its hook into all major markets. Much of what the world learned about Toyota came from the 20 Series as it was developed into an impressive array of vehicles designed to fit the needs of each country into which it was imported. There were the standard hardtop models, of course, but also pickups, station wagons, and also two- and four-door models. In all there were 10 variations available from FJ20 through FJ29, with two variations on the wheelbase: 2.285mm and 2.430mm. With this variety of models, Land Cruisers quickly found their way into Colombia, Venezuela, Malaysia, Kuwait, Jordan, Dubai, and Australia where they were ideally suited to challenging driving conditions. Presented here is an extremely rare last-year production model of the longer-wheelbase version of the 20 Series, a 1960 FJ28 Land Cruiser. Truly a collectors dream, this single owner gem remained stored in a barn for the last 30 years, well preserved by the high altitude and thin air of the Andes mountains in Colombia. The interior, exterior body parts, engine, and transmission are all original. 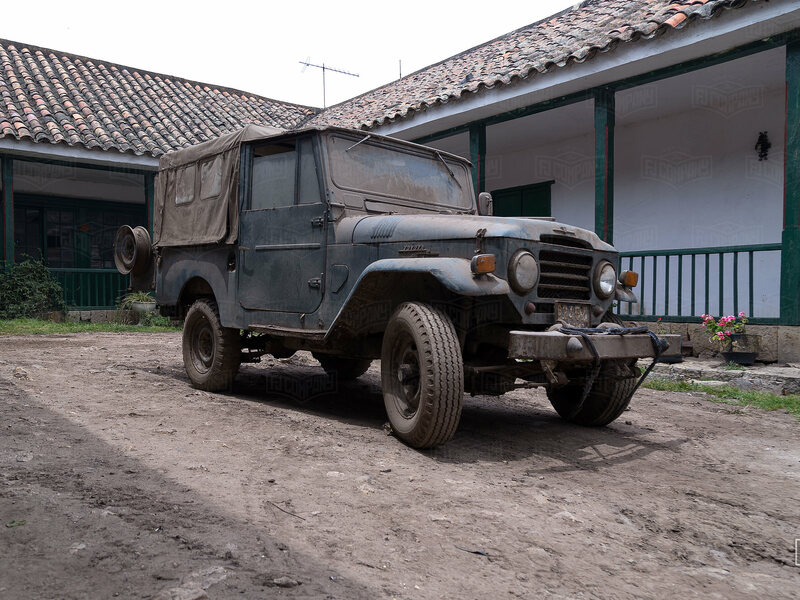 Our creative director traveled to the farm where it was found in order to document the moment the FJ is hauled out of the barn and exposed to light after decades of captivity. Original pictures provided by the owners family show the vehicle circa 1961 in the small town of Giradot, Colombia, where they typically traveled on weekend trips.